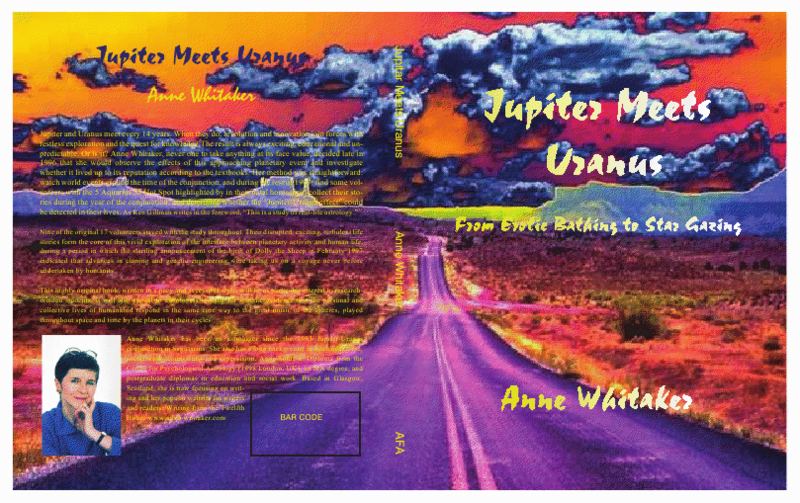 “An early version of “Jupiter Meets Uranus”, Anne Whitaker’s first book, originally appeared as a series of articles in Considerations magazine in 1999-2000, soon after the last conjunction of the two planets in 1997. 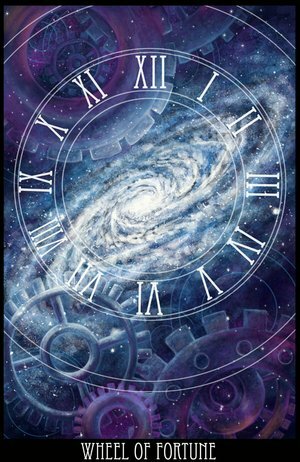 The author has continued her research on the 14-year cycle, which is especially relevant now as Jupiter and Uranus conjoin at 0 deg Aries in June 2010. Although the author writes about the myths associated with the planets(e.g she appreciates Richard Tarnas’s association of Prometheus with Uranus), Whitaker’s book is primarily a record of her research into the cycles of the two planets, with special attention to their most recent conjunction in 1997. She has documented the events of the times, both on the collective level ( remember Dolly the cloned sheep?) and as personal stories and ongoing follow-up in the lives of her 17 research subjects. There are mundane charts for the conjunctions and other key events from 1609-1997 and ample discussion of what happened to her subjects. In showing the “bright face” as well as the “dark face” of the planets’ combination, Whitaker offers a timely record of an important planetary cycle in action”. If you are looking for information, education, entertainment and inspiration, check it out ! NOTE: I shall be publishing further articles on the upcoming planetary pattern shortly! Watch this space – and leave a comment/send me an email if you want your feedback to be included as part of my 2010/11 ongoing collection of Jupiter/Uranus conjunction stories. Feedback from people’s experiences of the 1997, 1983, 1969, 1955,1941, and (if you are still with us!) 1927 Jupiter/Uranus conjunctions, is also welcome.